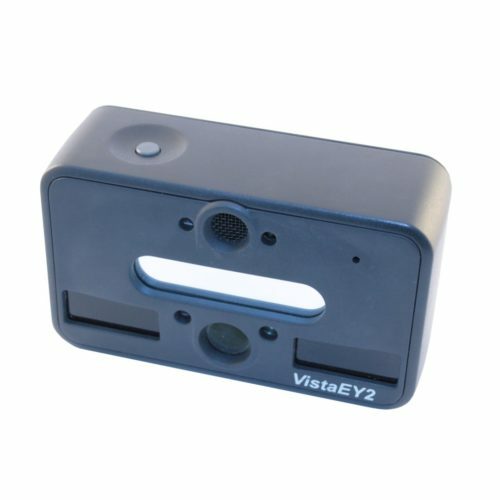 VistaEY2 is a compact dual iris and face camera manufactured by Vista Imaging. The device is able to capture both irises simultaneously. Also the device includes 3 Megapixel camera for face capture and microphone for voice capture. The device produces standards-compliant iris and face images: the captured iris images are compliant to the ISO/IEC 19794-6 standard and the face images – to the ISO/IEC 19794-5. The manufacturer specifies that VistaEY2 multi-positional iris illumination allows authentication on target subjects with eyewear.